TEAM > Ministry Updates > Is It Possible to be Japanese and Christian? When Kira* accepted Christ, she thought she had everything she needed. Kira and her friend, Azumi*, found Jesus while living in America for their husbands’ jobs. They both joined a large church that was full of energy and strong ministries. But after five years overseas, Kira returned to Japan, and quiet loneliness engulfed her like a fog. No one understood her new beliefs, including her own husband. He wanted her to stay home on Sundays because those were his days off from work. When she found a Christian mom’s group, he discouraged her from going because of the money she would have to spend on bus fare. Additionally, her young sons’ grandparents insisted they participate in Buddhist coming-of-age ceremonies. Kira became confused and discouraged. Was it even possible to be both Japanese and Christian? In the years to come, she and Azumi would answer that question in two very different ways. Since 2011, Roberta has worked with Japanese Christian Fellowship Network (JCFN) to minister to Japanese Christian returnees, people who leave their country for work or school and return with a brand new faith. 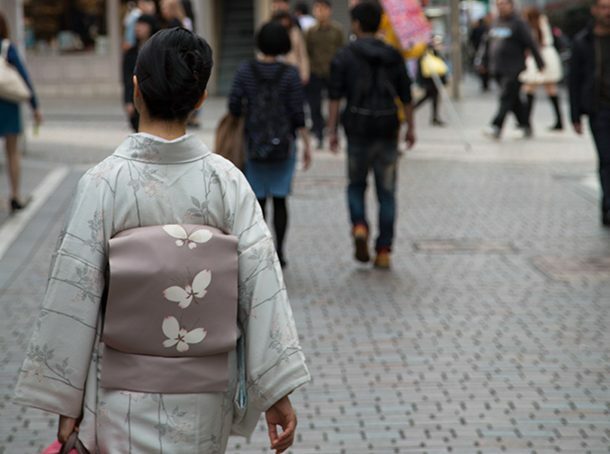 While they are away, Japanese nationals are much more likely to embrace Christianity because “they’re on their own without their nonreligious parents or their Buddhist parents,” says Roberta. However, American Christians don’t always know how to effectively disciple new Japanese Christians. “It’s a whole education process because some [Americans] who work with Japanese students think they’re fine once they’ve accepted the Lord and that they’ll go home and find a church, but they don’t realize … there could be a whole bunch of family pressure placed on them when they get home,” explains Roberta. Japanese returnees are expected by their family, friends and culture to still participate in Buddhist and/or Shinto rituals like praying to dead ancestors. Women are expected to marry as soon as possible instead of waiting for a Christian spouse. Men are expected to find work in a good company by whatever means possible, regardless of Christian moral standards. Without training on how to live their new convictions in Japanese society, Christian returnees are often discouraged to the point of abandoning their faith. “They get to a point within the first two years, if they don’t find some fellowship or a church, where a lot of them will just cast their Christian faith away, thinking, ‘Well, that must have just been part of my overseas experience,’” says Roberta. That’s where the returnee ministry comes into play. Roberta says the key to a successful returnee ministry is to focus more on person-to-person interaction than anything else. Some Japanese congregations welcome returnees; others are suspicious of the American Church’s influence because they believe American churches are too liberal. While American churches tend to have more casual and progressive services, Japanese churches tend to be more traditional and formal. Sometimes the fear of landing in an unwelcoming Japanese congregation can paralyze returnees into not going anywhere. But Roberta and her co-workers walk with returnees, connecting them with other returnees and encouraging them as they search for the right church home. Aside from a main returnee group in Tokyo, JCFN has several regional small groups scattered throughout Japan that meet on a regular basis and actively seek out other Christian returnees to connect with. Roberta also uses Facebook to communicate with Christians who are discipling Japanese believers in America. Unfortunately, Kira didn’t hold onto her faith in Jesus. Despite her friendship with Azumi, the lack of support she received at home made it difficult to stand firm in her new beliefs. Azumi, on the other hand, was able to deepen her relationship with the Lord thanks to a variety of factors. Although Azumi’s husband doesn’t believe the Gospel, he supported Azumi in finding a local church family and strengthening her faith through community. She also met Roberta shortly after returning to Japan, who then connected her with JCFN and the returnee ministry. The spiritual encouragement Azumi received from the returnee ministry then propelled her to start an English Bible class in her hometown for a group of Japanese ladies who’d also been in the States with her and whose husbands all work in the same company and underwent the same international transfer. Now, four years later, the class is still meeting and studying the Bible on a regular basis. Half the class members are Christians, and the other half are getting to hear the Word of God, perhaps for the first time. Because of the returnee ministry’s impact on Azumi, many others now have the opportunity to learn about Christ’s love. And if you have given to TEAM or prayed with us, we want to thank you for making that possible! Someone like Azumi is waiting to get the discipleship and support she needs! Will you make sure she gets it? 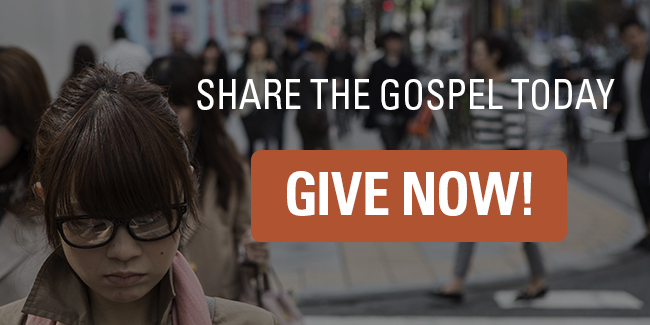 Give today to empower new believers in Japan and around the world! For years I endeavored to be a witness to Japanese both in Japan and here at home. It is a difficult mission field. I am moving to Hawaii in a few months. How can I get involved in discipling Japanese women. I live in Japan now, but will be moving to Hawaii where there are a lot of Japanese. Thanks for your help. Thanks so much for your interest! We will be sure to get you in touch with Roberta Peabody. She is heavily involved in the returnee ministry and will be able to help you out. Be looking for an email from us! Greetings in the name of Jesus, our Sweetest Name above all names! My name is Siah Tiffany Katsuda, and “Yes, I am a Japanese born-again & Spirit-filled Christian! Praise the Lord! I am one of them who went to U.S.A. 30 + years ago and got saved in CA about 22 years ago. And God sent me to preach Gospel and teach His Word, and also teach English for them to be able to read Bible in English in the future here in Japan 2008. I am so exited this article with Sister Roberta’s experiences of mission work in Japan. That is exactly what I have been telling my Church Pastors and leaderships, and brothers & sisters in U.S. And also ministering to the young Japanese Pastors and untrained leaderships in Japanese Churches wherever God sent me for last 9 years. I have lots to share about mission work in Japan and Japanese people including Japanese believers (at least they think they are). I was ministering in Okinawa prefecture for last 4 years, and now I’m serving in Kanagawa prefecture. I would love to get connected with this sister Roberta and I’d love to share my teaching material what I translated in Japanese from English, and whatever I can be a help of this mission work in Japan together as the Lord wills! Please pray and help me to get connected with her. I speak, write, & read both English and Japanese. Since I got an American citizenship, in my case, God sent me through my U.S. Church to Japan as a full-time missionary. So, I have both American eyes and Japanese eyes, you know!? I believe this is one of the answers from the Lord for my long waiting prayers. So, please pray for this connection to be led by the Holy Spirit!!! Thank God for her spiritual understanding for this nation of Japan, so blinded from the True Holy Living God who is full of Agape and mercy and grace! Hallelujah!! Japan Shall be saved in Jesus’ Mighty Name!! Amen! Wow! It sounds like you have an amazing story and I’m so thankful that you found this article. We will do everything we can to get you in touch with Roberta. Thank you so much for reading; be looking for an email from us! Hi guys, I too have been called to missions. I am from Los Angeles CA and have moved to Japan to minister and share the gospel. My wife is Japanese. Please share my contact info with Siah Tiffany Katsuda, Thank you and God Bless! I would love to have a elementary picture book to help her see visually. Any suggestions? Hey Lily! Thanks for reading! We’ll be praying for your daughter-in-law. Two books we might recommend would include the DK Illustrated Family Bible and/or the Complete Illustrated Children’s Bible. praise God. it is a wonderful service for making God’s kingdom on the earth, you know that is the main purpose our Savior have came .